The Easy EHR Issues Reporting Challenge was launched by the Department of Health and Human Services’ Office of the National Coordinator for Health Information Technology (ONC) to encourage software developers to create solutions that can help physicians report EHR malfunctions and security issues faster and more effectively in line with their clinical workflow. At present, reporting EHR security issues is troublesome and causes interruption to clinical workflows. A more effective and user-friendly system is required to allow EHR users to immediately tag, document, and report problems to their IT teams. 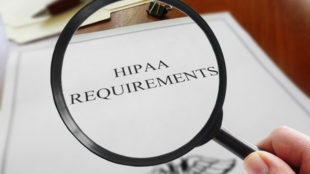 Speedy reporting of possible security issues will help determine the root causes of problems faster and EHR developers can be notified more quickly about potential issues to allow them to develop solutions in a shorter time frame. James Madison Advisory Group won the challenge and was awarded $45,000. A novel solution was developed for recording and reporting potential EHR security problems. The tool may be accessed using a system tray icon or hotkey without the need to leave the EHR workflow. The solution is compatible with Windows 8 systems and higher versions and is compatible with all EHR systems. The software application can export information in PDF and XML formats, can capture screenshots, and streamlines report delivery. Pegwin was awarded 2nd place and $25,000 for creating a software platform that physicians can utilize to record and send safety and usability reports with just three mouse clicks. The solution comes with an intuitive interface, utilizes contextual menus, and produces Common Formats reports and automates the reporting process as far as possible. Jared Schwartz and his team won 3rd Place and $10,000 for creating a Google Chrome plug-in that works with IT ticketing systems. Using the plug-in, healthcare providers can record EHR security issues more easily and consistently. Enhancing the security of healthcare IT is a priority to ONC and making the reporting of security issues much easier for end users will be a major step toward that goal.